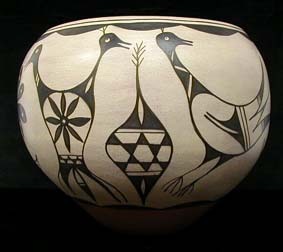 Carol Lucero Gachupin was born November 19, 1958 in Jemez Pueblo, the daughter of Margarita Lucero. 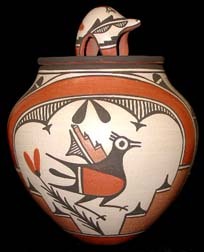 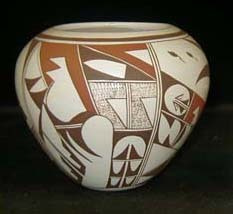 Her teacher in the art of working the clay was the Marie Romero, who also was her inspiration to become a potter. 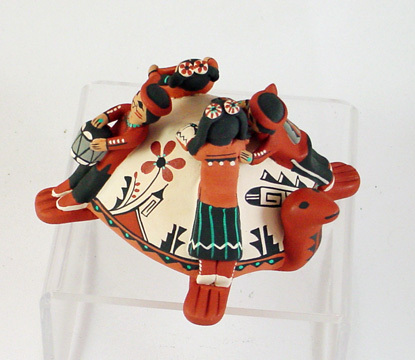 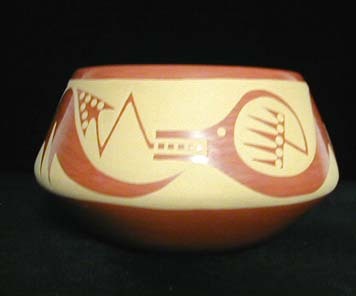 Carol specializes in forms with Hopi, Pueblo or Navajo style of hair and dress. 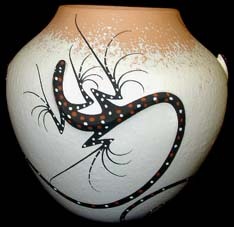 She is known for the details of her pottery figures and delicacy of her painting. 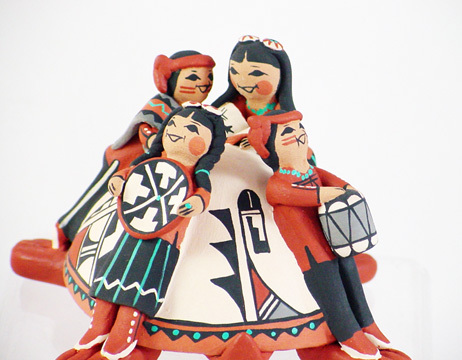 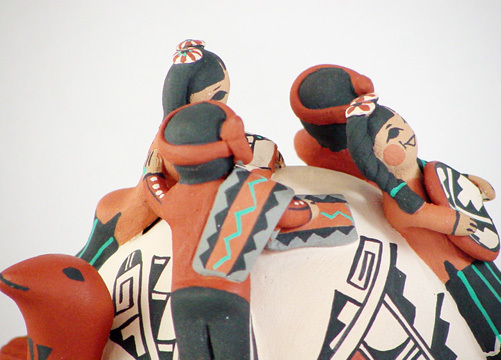 The children listening to the storyteller usually display an intelligent expression and are also busy holding and displaying various items, such as pottery, books, baskets, etc. 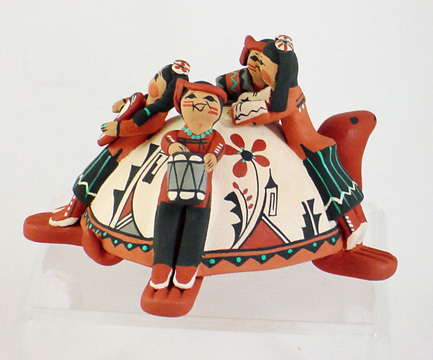 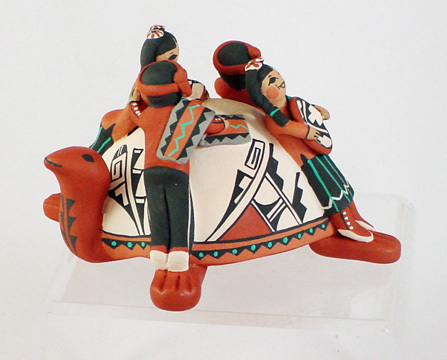 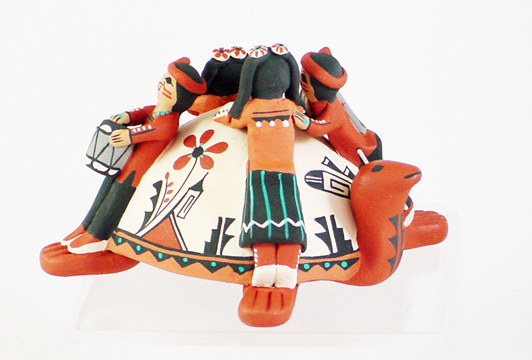 The present offering is a turtle storyteller singing to four children. 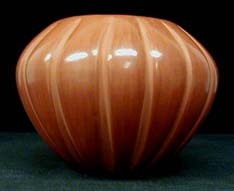 It measures 4 inches tall by 5 inches wide by 6 inches long.